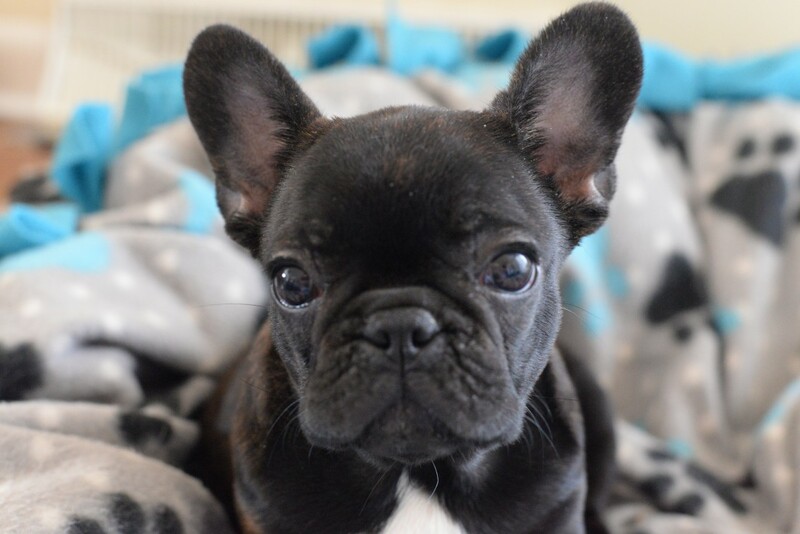 MIDWEST FRENCHIES – A Dog Is Not A Toy…It's A Life!! We are a husband and wife team that run a family owned and operated business in a rural farming community located in central Iowa where we have been raising toy breeds for over 15 years. We decided to purchase a Frenchie and you know what they say “once you’ve had one you can’t stop, you just get another”. We have fallen head over heels in love with this wonderful and loyal breed. We have also expanded our family to include English bullies as well. They too are very loving, intelligent and devoted members that just simply want to be loved. AKC registered bulldog puppies that are bred for quality not quantity. Each puppy is vet checked and come with a vet health certificate and our guarantee. Each puppy is given age appropriate shots and de-wormings. Each puppy is raised in our home underfoot and given lots of love and attention on a daily basis. Each puppy will come pre-spoiled. They should be, they are part of our family. All images on this website are copyright protected by midwestfrenchies.com. Unauthorized use of said images is strictly prohibited.